Earlier this year (it was New Year's Day to be precise) we told you about the Ö smart ring. That followed a successful Indiegogo campaign for the Mota smart ring, which is up for pre-orders on Mota's website (mota.com). 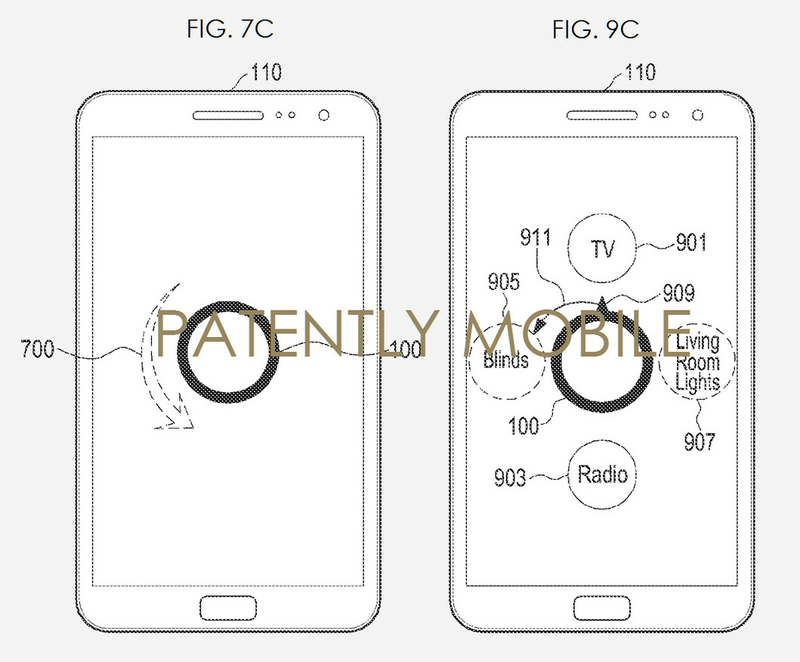 This morning, the USPTO released a patent application from Samsung for a smart ring that would be used to control your smartphone, your television and other connected electronics. The filing uses an illustration to show how the presence of the ring would open a special menu on a smartphone, which would allow you to turn on and adjust your television, audio system, blinds, and any connected appliances. Samsung also noted in the filing that the ring would connect to social media sites like Facebook to open up a whole new set of functions for the device. The patent was filed by Samsung back in June, and there is no guarantee that the smart ring listed in the patent application will ever see the light of day. Still, a number of tech giants including Apple, Google and Microsoft are working on similar intelligent devices that someday might adorn your finger. What!!! no necklace, earring, or ankle bracelet, come on sammy you're slipping lol. I'm afraid they are really working on them ..
Ir blaster embedded in our phones is all we need. I like smartwatches and I never said that when they debuted so i'm not part of "you people" as you stated. as for this ring why not just bake its features into their phones, all it does is control stuff i'm sure the sensors it has could be put in a phone. Instead of doing that most companies would rather create something totally new that they can stick a high price on, than simply adding its features to an existing device(smartphone) and upping the price a little. and what if i want the features this ring has but since i don't wear rings, i'm s**t out of luck and that's messed up. Nothing Happened To It, I Just Didn't WithThe 2 Short Post And I Said A While Back That I Would Type Long Post Normal So People Can Read Them Easy. This patent nonsense needs to stop. At least some sort of basic working prototype should be needed for filing or granting a patent. This patent system just hinders innovation, because it stops people from developing, as they know they will have to pay royalties to the person or company who patented a drawing. 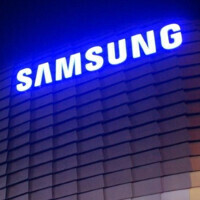 Nothing against Samsung or any company, they're just doing what the system allows them to do. Really? So who else is making a "smart-ring"? The patent system is a lot of things, with "broken" being one of them, but the one thing it is NOT is a hindrance to innovation. It forces companies to find another way to solve a problem, which drives innovation. Most companies will follow the path of least resistance, if given the opportunity, which leads to blatant copying and the stagnation of innovation. It is a hindrance to innovation when companies are allowed to apply for patents that are simply overbroad concepts (ie the Apple slide to unlock, which was worded to cover any screen gesture combined with any animation) and wield those patents as weapons. The more recent Apple application for in display fingerprint readers is another example of a broad concept designed to stifle others. The advantage of patents is that it forces a company to find another way to solve a problem, but on the disadvantage is that companies can also use those patents to stifle the competition, because they patent a tech they're NOT working on and which they cannot bring reality! So if another company makes that tech real, the company who patented the tech will begin to sue the company who brought the tech to reality! So that stops companies from bringing attempting to bring those patents to real-world tech! Hence, patents pose as an enhancement to innovation , but also as a hindrance to innovavation! If patents were not a hindrance to innovation, then why do companies like Tesla and Google give their patents away to the competition for free? Because patents actually do more harm than good! I will inform Lord Sauron.. I dont know. But Sauron will not be pleased his cutting edge technology copied by Samsung.